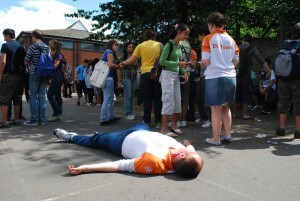 It was a midsomer’s day in Parkside School when the EC social leader, Chris, was found dead with a terrible wound to his forehead. The police were called and they said it was very likely that Chris had been murdered. 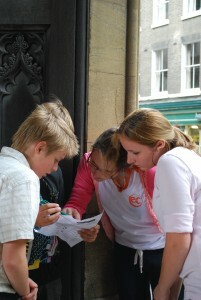 EC Young Learners had to find out who, where and how Chris was actually killed by scouring the streets of Cambridge for clues. It turned out that the social leader, Sarah, had committed the crime. She had reportedly killed Chris with a baseball bat at St Catherine’s college. However the motive is still unknown at the moment…we will let you decide!